The Modern Icon Patent Pending Standard Lead comes in 4ft or 6ft lengths and has a large 7 inch long handle. Utilizing heavy duty 1” mil-spec tubular webbing that’s strength rated to 4,000 lbs, they are quick-drying, mold and mildew resistant and extremely durable. The seamless integration of tactile response points mark every foot and allow the handler to know by touch how many feet of line is between them and their partner without having to look down. Their integrated 1.5″ clip-in points allow the handler to use a standard climbing carabiner as a backup clip-in option if their primary clip ever fails, and will also work with the Modern Icon Tactical Deployment Shackle to give you a hands-free option. Constructed of a double layer of heavy duty 1” mil-spec tubular webbing strength rated to 4,000 lbs, and is quick drying as well as mold and mildew resistant. 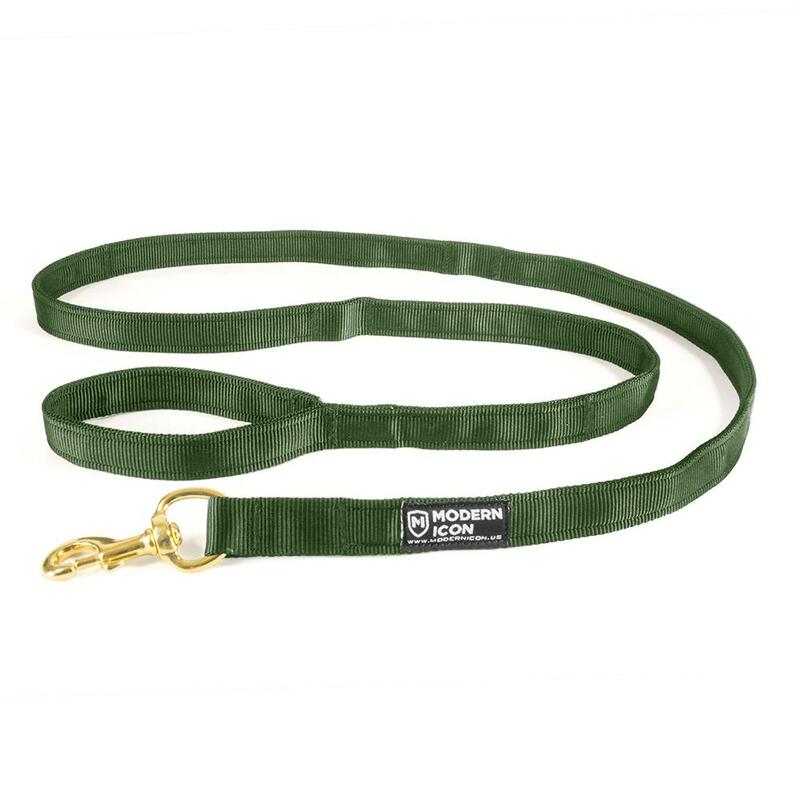 Daisy Chain style clip-in points can accommodate a large diameter carabiner (useful as a back up clip option) or for use with our quick release snap shackle as a hands-free option. Response points located at every foot let the handler know how much line is out and how much is left without having to second guess. Large 7" long handle easily accommodates large gloved hands.